How do you extract text and styling from a Static GIF? I have a static non-animated GIF image, is there anyway to extract a line of text and/or its font formatting information from it? I've tried opening it in GIMP, but the whole image appears to be only a single layer. There are a few techniques I know of for extracting this information from an image. What the font allows you to upload an image of your text and it tries to match the characters to a font. I recommend cropping your image down to just the text before uploading for best results. Project Naptha is a Chrome extension which OCR's images and allows you to copy the text. This will get you the text content (more or less) but not the formatting or styling. Once you've used What the Font (which may give you more than one option) you can try the retyping the text in Illustrator or Photoshop. I often line up the new text over with 50% opacity so I can figure out the weight, kerning, baseline and leading. In Illustrator this is all done using the Character panel (Windows > Type > Character). 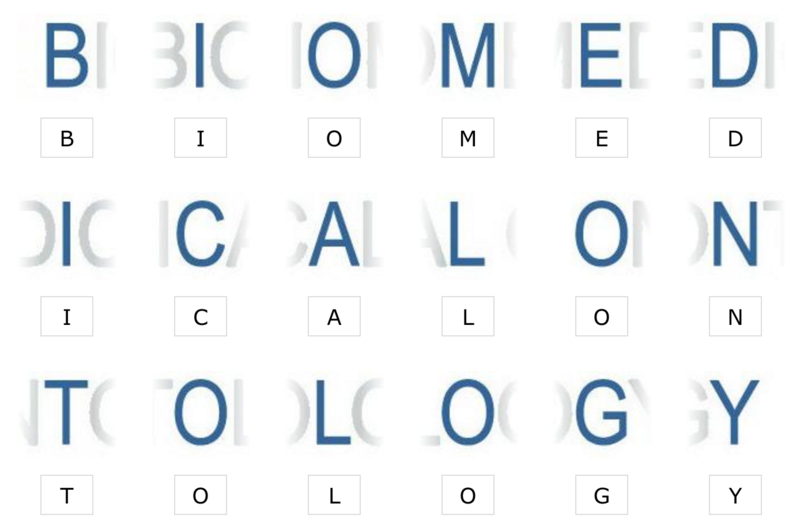 I did this recently with the Logo for the National Center for Biomedical Ontology. Here's the original logo (I only had a JPEG). I didn't know what font it was so I cropped it down to just the big letters for What the Font. Then I uploaded it to What the Font, it got all of the letter except for the "I"'s, which I fixed. What the Font said it was Arial Narrow so I started trying to fit that to the logo. I had to tweak the kerning for a few letter to get them lined up. In the it's never going to be exactly the same placement as the original but it's pretty close. Not the answer you're looking for? Browse other questions tagged adobe-photoshop gimp adobe-fireworks or ask your own question. Using GIMP, given a black text on a white area having some grayish smudges, how do I remove everything except the text? How to convert a video file into an animated GIF in Photoshop? How can I modify a GIF that uses “cumulative layers”? How do you move just the selection box without moving the pixels in gimp? Why does enabling transparency in an animated gif reduce its file size?